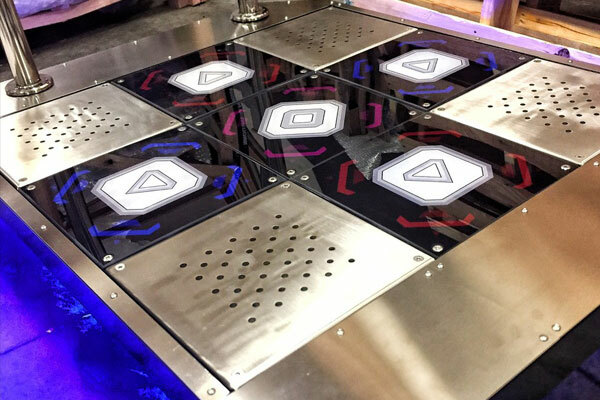 Buy StepManiaX at Great Prices. Contact us Today! 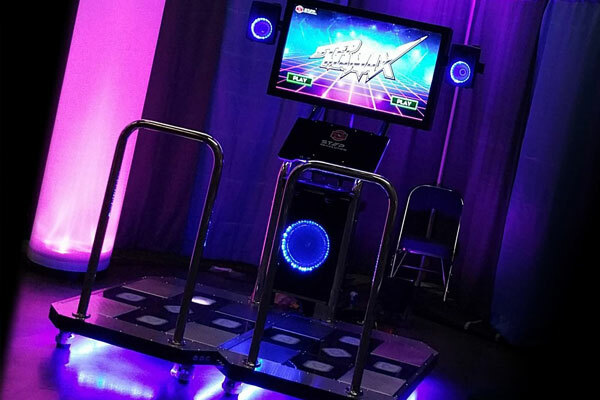 StepManiaX is all-in-one Dance, Step and Game System, featuring the latest generation of Step-Based Exergaming. 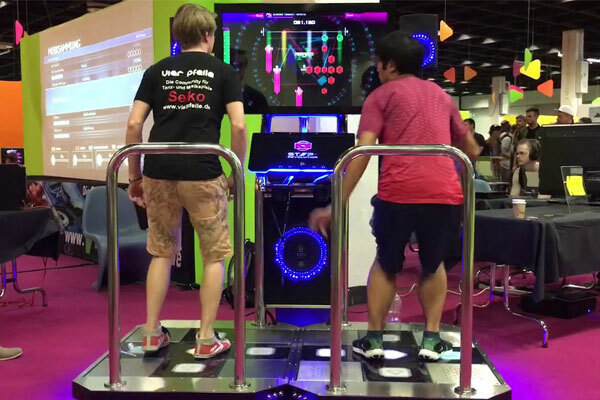 StepManiaX utilizes a dance pad that users step on to match displayed instructions to the beat of music. With a plethora of upbeat, catchy and energetic music that appeals to Western and European audiences. 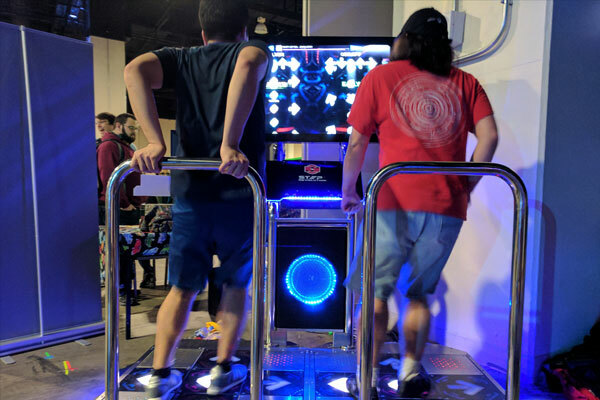 The StepManiaX gamepad uses the familiar cardinal directions (Left, Down, Up, Right), plus StepManiaX utilizes a new center position that promotes aerobic movement. Featuring a large touchscreen navigation system, it provides the ultimate user experience that is intuitive and easily manipulated by all generations of users. 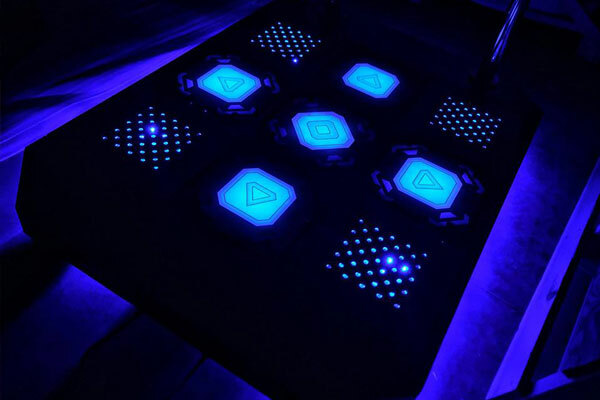 Over 80 songs (and more constantly being added) gives a wide selection and some old familiar favorites that have been revived from past Step Revolution titles. Compact & durable all-in-one design that utilizes small form factor and minimal space. 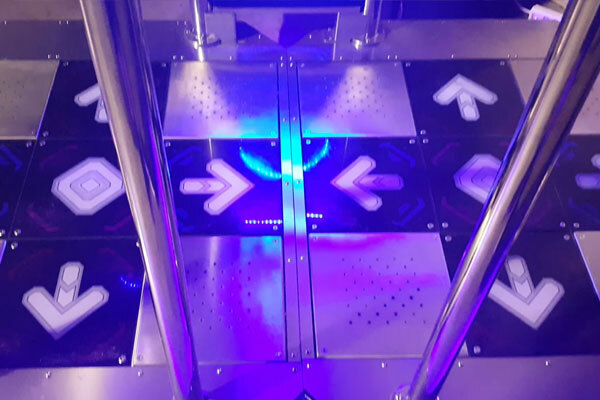 Suitable for commercial or home use, StepManiaX is a reliable system without complex setup or the need for technical training. Owners have the ability to control the songlist and additional music and content is available via network downloads. There's something for everyone!... Four modes of single difficulty (Basic, Easy, Hard, Wild) and 3 modes of double difficulty (Dual, Full, Team - which is shared between 2 people) Additionally, there is an abundance of configurable options that players can use to customize speed, note skin, effects, and many other settings. The StepManiaX Mobile App allows players to keep track of statistics and player ranking.